Henry divorced his previous wife Anne of Cleves less than 20 days earlier. 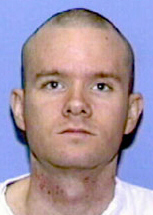 Double murderer James Scott Porter is executed by lethal injection at the age of 34 in Huntsville Prison, 815 12th Street, Huntsville, Texas, United States. Porter's last meal request was for two extra crispy fried chicken breasts, two thighs, onion rings, french fries, fried okra, five slices of buttered garlic bread, a bowl of country gravy, a couple slices of onions, pickles, jalapeno peppers, ketchup, mustard, sliced tomato, one pot of thick coffee and a banana split.